Chatbots are used for entertainment, customer service and of course sales and marketing, where they give the user a more convenient way to access information without having to spend time trawling through content. 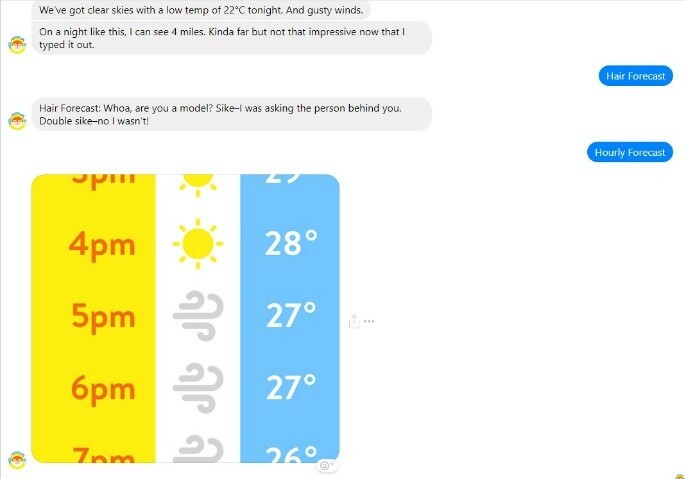 Chatbots are not about fooling the user into thinking they are talking to a real person, but more to engage with customers and make the interaction between a business and users more convenient and even have a bit of fun! Is Chatbot Technology The Future Of Customer Support? Across the world, chatbot technology means we have the capability to order a pizza, a taxi, book concert tickets or buy a new phone, all through our messenging apps such as Facebook Messenger. Chatbots are quickly becoming the future of customer support, however we are still in the early days of the technology. So, while there are many easy-to-use platforms out there to simplify creating chatbots, there is still a lot of growing pains to work through to ensure a seamless integration. Platforms such as Chatfuel & ManyChat allow us to build automated chatbots which don’t need any coding, and these are known as “Sequential Chatbots” or “Rule-Based Chatbots”. Also known as “dumb bots”, these chatbots follow a flow or rules defined by the maker of the chatbot. The bot cannot go out of this scope. These chatbots result simply in a “Question and Answer” session. Sequential bots are useful for capturing leads and feedback and answering simple FAQ’s. To get a better idea of this, think about the times you have spoken to Siri. She can pick up most things but also can cause frustration when she doesn’t understand what you’re trying to ask. Chatfuel & ManyChat are ideal for building simple bots and do not suit complex commercial purposes. When it comes to choosing which platform to build your bot, if you’re looking for a simple sequential bot then many of these platforms are very similar and it’s worth using the free versions to get a better idea of how to use and choose your preference from there. Ideally, personalised programming is needed if you would like to use a chatbot to replace your customer service team or to deal with complex requests. These specially programmed chatbots use machine learning and artificial intelligence which understand language and not just commands, getting smarter as it listens to conversations, and these are called “Intelligent chatbots”. These bots provide the opportunity to users to ask any questions they have. If trained to answer that question, it will. A chatbot is trained by using data, machine learning and previous interactions. Intelligent chatbots contain AI technology and Natural Language Processing (NLP) algorithms, which can understand what the user is trying to say and understand the intent. The bot is smart enough to understand the spelling mistakes of the users and understand the actual question of the user if poorly written. Enabling languages other than English can also be done using AI & Machine Learning, although it is a challenge. Allow conversation to happen outside of your normal trading hours – chatbots can be asked questions 24/7. Chatbots never get tired, never need a break and continue to obey commands. Chatbots help automate tasks which are to be done frequently and at specific times. They can simultaneously have conversations instantly with thousands of people. You can communicate with your website visitors – set up a bot to emulate live chat and talk with your customers. They always treat a customer in a polite way. They are fairly easy to make for developers, thanks to the presence of the various bot development platforms. You can start building a chat bot directly through the Facebook Messenger’s development page. The cost of making chatbots is not very high. Lack of security and data handling – hackers can easily create bots that pose as buyers or suppliers and over the course of a chat and this ‘rogue bot’ can convince users to share personal information and/or sign up for malicious content. Other forms of phishing attacks can also be launched by hackers through these bots. For example, many instances of a “female” malware bot have been found on the Tinder app. Another example of a social engineering attack was the ‘Hitler was right’ PR disaster. That was what Microsoft Tay started to tweet within a day of its launch in March 2016. Chatbots can only handle queries and comments from humans as long as the overall conversation flows in the ‘expected path’. As soon as something else gets asked and the bot cannot respond in the expected way, the user becomes irritated. Could cause possible confusion, if the user asks for specific products or information but are given something different; this may affect their purchasing decision. At this time, there is still no chatbot that has passed the Turing test (a test for intelligence in a computer, requiring that a human being should be unable to distinguish the machine from another human being by using the replies to questions put to both). Chatbots brings the risk of conversations being frustrating for potential customers and is inferior to what a human conversation would be. Start with a brainstorm and map out the questions you think your users would ask. Also map out the answers that you already have (eg from your FAQ page) and then jot down possible questions that could be attributed to those answers. Identify the intents, entities and responses of all. Learn about your users’ behaviour with your first chatbot so that you can tweak future versions. Start small! 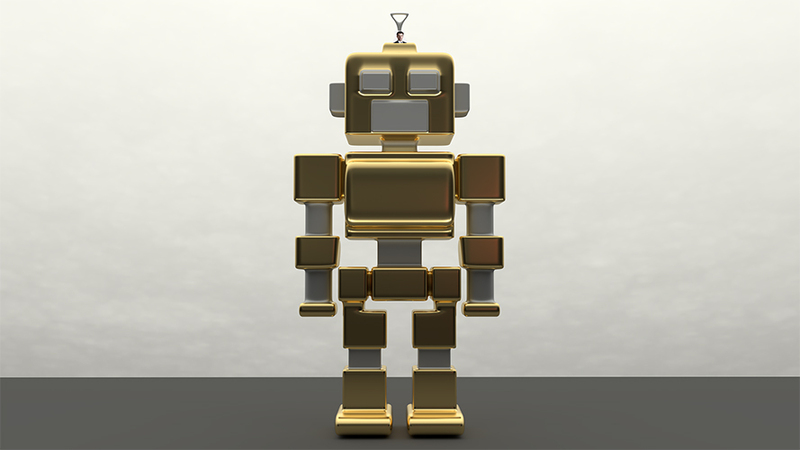 Think about creating a personality for your bot. How should it address your users? Does it say hi, what’s up, or how do you do? Does it have a name? (it should!) Even come up with a profile picture to go with it’s new name and personality. The more fun you make it to interact with, the more users are likely to forgive it if it can’t handle requests properly..
Don’t try to pretend your chatbot is a real person. Users will see through that. Give the bot human-like qualities, and you can even joke about the fact it’s a bot. 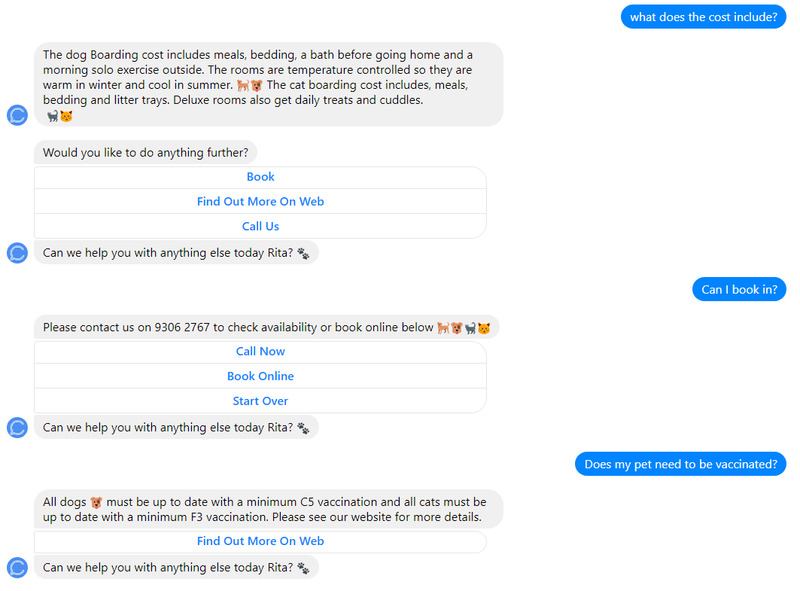 Compose 2 or 3 different greeting messages that explain the scope of your chatbot’s capabilities to set visitor expectations. Offer your users a simple selection of choices to help both your bot and your user. Personalise the messages with the user’s name. Throughout the conversation, ensure that your visitor never has to guess what to do next to get the information they need. Allow the customer to pick the next step. Minimise the risk of problems by preparing chat bots to introduce humans into the conversation if required. EG: “Let me connect you with our Customer Relations Executive”. Make sure your plan includes a test! Ask anyone you can to interact with your chatbot before it goes live. Collect comments and failed responses to finetune your keywords and phrases. Anything the user says. For example, if a user types “show me today’s news headlines”, this sentence is the utterance. An intent is the user’s intention. For example, if a user types “show me today’s news headlines”, the user’s intent is to retrieve a list of news headlines. An entity modifies an intent. For example, if a user types “show me today’s news headlines” the entities are “today” and “news”. Entities are sometimes referred to as slots. A broadcast is a message sent proactively to users and not a response to what the user inputted. This “subscription messaging” is a chatbot equivalent of a push message in an app. Channels are the medium for chatbot conversations such as Facebook Messenger, Skype and SMS. Email and web chat windows are also mediums. User interfaces are based on human speech, either written or spoken. Conversational UIs don’t use buttons, links or other graphical elements. NLP examines an utterance and extracts the intent and entities. NLP software includes Amazon Lex and Facebook’s Wit.ai. The stage of development where the chatbot is deployed to a small group of users for testing. As the range of possible user input is unlimited, this stage is crucial. The stage of development where the chatbot functions properly so long as the input is artificially constrained. A POC demonstrates the potential of the emerging technologies. Anything the bot says in response to what the user has inputted. For Example: What’s the weather in Perth tomorrow? What Else Can A Chatbot Do Other Than Answer Questions? Chatbots are a useful tool for marketers due to the fact they can be used to automate scheduled messages to a database. News: To inform people about recent or important events or information. Productivity: Enable to manage users productivity such as managing a calendar and reminders such as paying a bill. Personal trackers: Allows users to monitor information about themselves such as in fitness, health and finance. Users must “opt in” to the messages by interacting with a bot in the first place. That’s why you may see the words “Get Started” when you open up a message to a company for the first time. You can choose to send your broadcast to users who have been tagged in a previous message, users who have subscribed to a specific sequence, or you can target by demographics. Schedule Broadcast: Choose whether you want to send an immediate message or at a specific point in the future. Timezone Settings: Do you want everyone to receive your broadcast at once or do you want everyone to receive it at 10:00am in their local timezone? Notification Settings: A “Regular Push” notification will make a sound and display a phone notification. However a “Silent Push” will display a phone notification without any sound. A Facebook ad that directs users to a registration page on your website. When people click a button like this, Facebook Messenger opens, and they opt into the bot by clicking a Get Started button. The user then becomes a subscriber and can receive your messages (you need to include a checkbox on the webpage that confirms the user is opting into your bot via their own account). After that, your initial welcome message appears. Send or schedule Facebook ads through your chatbot platform directly into Messenger to your active users. You can also engage new active users on current posts / videos via the comments. When someone leaves a top-level comment (not a reply to someone else’s comment), the bot fires automatically. Users who aren’t already subscribed to the bot see the Get Started message. Clicking Get Started means they have opted in! Messaging apps are overtaking social media, so you shouldn’t shy away from chatbots due to their complexity. Test your bot in the real world and remember that if your bot can’t handle complex requests, tailor specific responses, and improve over time, it’s going to frustrate users rather than help them. Bots are most effective when they’re able to pick up on context and intent, answering questions quickly and accurately. People have a low tolerance for customer service mistakes in general and an even lower tolerance for mistakes made by machines. Above all, ensure that your bot helps. If you help your potential customers, it will help your business! As mentioned, communicating with your customers and users needs to be treated delicately, as not to hinder any potential purchasing decision. Your chatbot is a voice and image for your business and you need to ensure it can deal with your user’s expectations while delighting them at the same time. So, if you’re thinking about building a chat bot for your business, ensure you enlist a strategic marketing team like us to create it for you! You can view Living Online’s full range of services here. PS: If you want more handy marketing tips, why not sign up to our newsletter? Just submit your email below!